In County Clare’s Burren district, Ballyvaughan Cottages are just 6 minutes’ drive from Aillwee Cave, on the southern shore of Galway Bay. These 3 and 4-bedroom cottages offer free on-site parking. 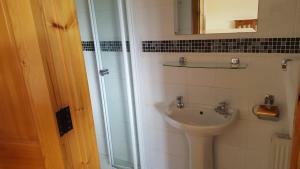 Each cottage has 2 double bedrooms and either 1 or 2 twin bedrooms. There is a bathroom, dining area, a lounge with TV and a kitchen equipped with an oven, microwave, fridge, dishwasher and washing machine. 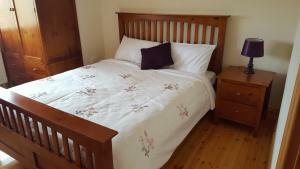 Bed linen is provided and towels are available to hire. Ballyvaughan is around 9.3 miles from the village of Lisdoonvarna, which hosts the annual Matchmakers Festival, and 31.1 miles from Galway City. The Cliffs of Moher on the county’s west coast are around 30 minutes’ drive away, and Corcomroe Abbey is just 15 minutes away. 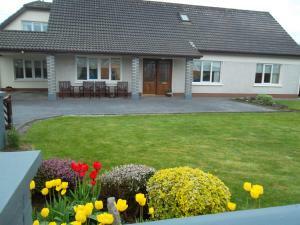 Located 7.5 miles from Aillwee Cave, Moneen BnB provides a garden and free WiFi. 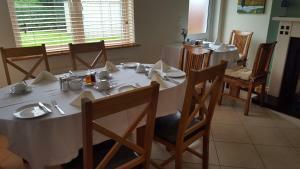 A continental or buffet breakfast can be enjoyed at the property. Guests can also relax in the shared lounge area. Shannon Airport is 47.2 miles from the property. 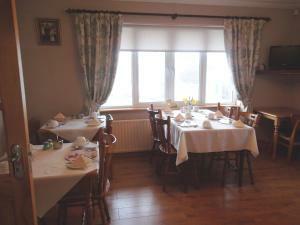 The Hylands Burren Hotel is located in the charming village of Ballyvaughan, on the east coast of Ireland. This modernized 18th-century house offers large bedrooms, a fine restaurant and traditional Irish hospitality. The rooms with private bathrooms at the Hylands all feature TVs, hairdryers and ironing equipment. Tea/coffee making facilities are also provided. Fresh from Ballyvaughan harbor, the Hyland’s Burren restaurant specializes in seafood and local Burren lamb. Home-baked scones, cake and desserts are also on the menu. The more relaxed bar has open fires, regular live music and a bar menu. Aillwee Cave is a 5-minute drive away and the Burren National Park is within 10 miles of the hotel. There are several golf courses in the area and free parking is available at the hotel. This BnB has a fantastic location on the edge of Ballyvaughan village, an area known for its restaurants and pubs, cafe's and craft shops. There is free Wi-Fi throughout the building, and free parking on site. An extensive breakfast is provided in the dining room each morning, and there is a comfortable lounge with an open fire for guests to relax beside. 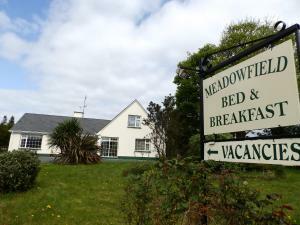 There is also a garden for you to enjoy at Meadowfield Bed and Breakfast. 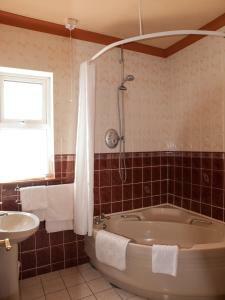 Rooms are spacious and traditional in style, and each has an en suite bathroom. Rooms all have a flat-screen TV and come with picturesque views of the mountains. 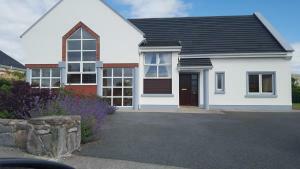 Meadowfield is close to the Cliffs of Moher, along with the Aillwee Cave and the Aran Islands. Guests can see hawks fly at the Burren Bird of Prey Centre, just 3 km away. In beautiful North Clare, with views of the Burren Hills, Cappabhaile House offers spacious bedrooms and traditional Irish breakfasts. There is also free parking and free Wi-Fi. 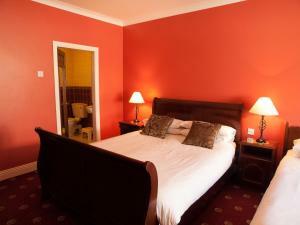 The individually designed bedrooms at Cappabhaile are decorated in rich colours, and each has a private bathroom. 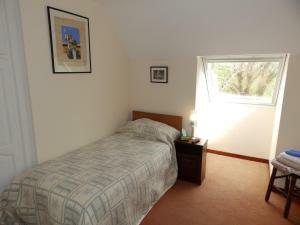 Rooms also feature tea/coffee facilities, a telephone and TV. Breakfasts are served daily in the beautiful dining room, including fresh fruit, continental cheeses and indulgent cooked options. 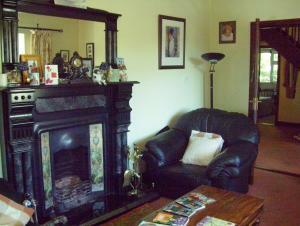 There is also a guest lounge and games room with a pool table. 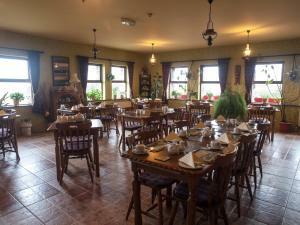 Cappabhaile Guest House is situated just outside Ballyvaughan, between Aillwee Cave and the Burren College of Art. The famous Cliffs of Moher are a 35-minute drive away. 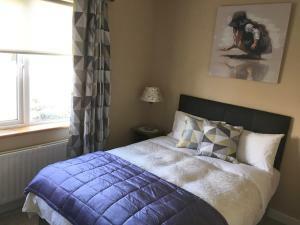 Situated in the charming harbour village of Ballyvaughan, in the heart of the Burren, Gentian Villa BnB offers free WiFi, free on-site parking and a garden for guests to relax in. 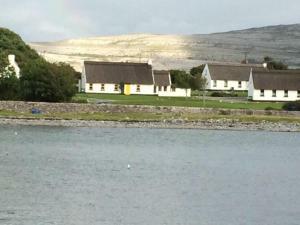 The beaches and coastline of Ballyvaughan are ideal for fishing, boating, kayaking and swimming. 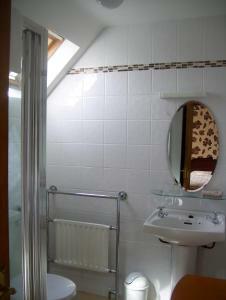 An en-suite bathroom is provided in each room at Gentian Villa, along with a TV and garden views. A hairdryer and free toiletries are also included. Guests will also benefit from a shared lounge, outdoor seating area and tea/coffee making facilities. A secure bicycle storage area is available. 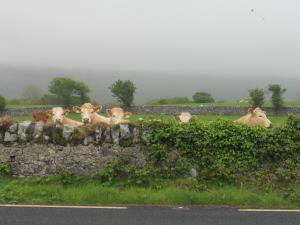 The Burren region offers a selection of local restaurants, pubs, craft shops and a farmers market. The Aillwee Caves can be reached in a 7-minute drive, and ferries to the Aran Islands can be caught from Doolin, which is 30 minutes away by car.